In a previous blog, I talked briefly about the private beta for PAYE for employees. Well, we are now ready for the private beta release. It's a very exciting time as we make final connections to the production services we have been working on for several months and invite the first real users. For PAYE, this is very much tripartite; we will have connectivity with the PAYE application services which are hosted on HMRC's new Multi Channel Digital Tax Platform to the new Identity Assurance Service and to the existing HMRC back end services. 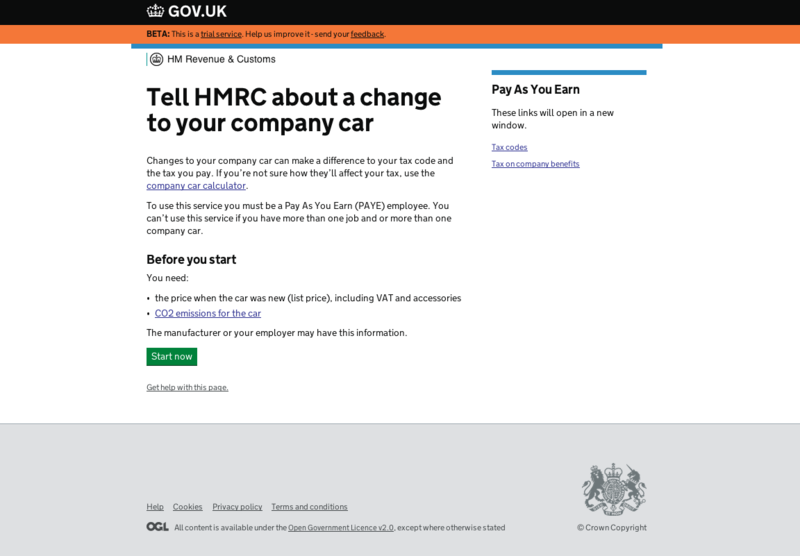 It's all these services that come together seamlessly to give end users a simple, clear and fast service to tell HMRC about a change to their company car. We will be gradually inviting PAYE employees who have kindly agreed to help us during the private beta phase. We will do that around the time they are due to change their company car. A private, or closed, beta is a new thing for HMRC and I'd be interested in any views, good or bad, on this approach. You may know what a beta is, you may not. Here is the definition from the Government Service Design Manual. And Google can provide you with many more, but you'll get the idea. We are initially limiting the size of the beta (hence private, or closed) for PAYE for employees, but that will change soon. More on that later. This has taken (and is taking) a bit of getting used to within HMRC as we move away from 'big-bang' live implementations. The private beta will not be perfect. Although it will be 'feature complete' and do everything it’s designed to do (so our private beta users can add, replace, or remove their company car) there might be minor hitches which we will be working on before we deem it complete. And even then it will never be complete as we'll be continuously improving it. But we will work on that during the private beta phase, as well as learning a bunch of new stuff by having real users using the service. There is the banner saying beta on the page and two links the user can select. 'Trial service' takes the users to this page which provides more of an explanation of beta. 'Feedback' will take the private beta users to a page where they can say what they think of this service. We've spent weeks and months iterating the design of this service, working and testing with end users at each iteration, to come up with a simple and clear service that users can use quickly. But moving to the private beta, and testing the full working service publicly with real users, will provide insight and learning we've not yet had. I'm excited.